Would you like to help run the caving club next year? If you have any questions about it or want to run for one of the positions let the committee know. SCHECC on the 3rd – 5th march – like CHECC but just the southern clubs. The organise fantastic training that I would recommend doing. We are taking deposits of £20 now. 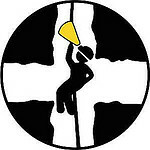 If you are thinking of going to Yorkshire the single rope technique (SRT) training is particularly useful as SRT is an important skill for Yorkshire caves, and you will be able to do more of them on the trip is you has done this training. You will need to be quick though as the training tends to fill up quickly. There’s also a trip to Yorkshire on the 10th – 12th march. Caves here have the added bonus that you abseil into most of them. Any questions or to sign up just contact someone on the committee. Our social event tomorrow is: RUCC @ Oakford Social Club, 8:30. If you are coming on the Derbyshire trip, please bring your £20 deposit. The time has come to start organising the highly-anticipated Fireworks Trip to the Mendips. We will be staying at the Belfry (caving hut owned by the Bristol Exploration Club) -same as on the last trip. We have our usual array of Mendip caving trips planned, but there will also be opportunities to do some rarer caving trips, such as Stoke Lane Slocker, Priddy Green Sink, St Cuthberts and possibly others. On Saturday evening we shall be joining in with activities organised by the BEC: there will be a presentation on the exploits of the BEC’s 2016 caving expedition to the Philippines and plans for 2017, followed by a large buffet of Filipino food – vegetable chow mien noodles, plain rice, crispy beef cooked in soy sauce and garlic, chicken Afritada, pudding of sticky rice cooked in condensed milk to form a flapjack – very sweet and tasty. Fireworks outside from 9.30pm & Disco after until late. Throughout the night there will also be a bar selling Potholer Ale at £2.50 per pint. The trip will cost £35. At the moment we have 15 spaces available (until car & kit availability is confirmed), on a first-come-first-served basis. IF YOU WOULD LIKE TO COME please pay on the RUSU Caving website (https://www.rusu.co.uk/sports/Caving/) : Look under “Products/Tickets” towards the bottom of the page. You will need to have an account on the Student Union website (all current students have one set up by default), and you will need to be a member of Caving. This is the only way to confirm your space on this trip. If you are having technical difficulties, the lovely people in Student Activities (inside the students union building) will be able to help you (including taking a cash payment), but feel free to contact us and we will do our best to help too. Details: We are having day trips to the Mendips at the weekend following the Freshers Fayre. Clicking attending on this event is not enough. Please get in touch to make sure you get a space. Or just come and see us at the Fayre (Thursday 22nd 11am-4pm). We are having day trips to the Mendips at the weekend following the Freshers Fayre. Clicking attending on this event is not enough. Please get in touch to make sure you get a space. Or just come and see us at the Fayre (Thursday 22nd 11am-4pm). The Bristol Exploration Club aka BEC (motto: ‘Everything to Excess’) are holding their annual Guy Fawkes Night party at their bunkhouse in the Mendip Hills. It’s a prime location for caving by day, and by night you can reasonably expect to see something you haven’t seen before. Come on, it’ll be a blast! If you have any questions about any of these trip, please dont hesitate to contact me or post on the facebook links. As many of you know, Eurospeleo 2016 will be held in Yorkshire this August – expected to be the biggest UK caving event this century, with well over 1000 cavers from all around the world attending! The next few days are your last chance to obtain heavily discounted tickets! Currently you can get tickets for only £60 for the whole week if you’re under 25, or £80 if you’re older. Here’s why this is such a big deal: All the main caves in Yorkshire will be pre-rigged (using more than 9 kilometres of rope obtained specially for this event) providing easier access to some of the most amazing caves in Britain; and there will also be lots of talks, workshops, evening entertainment, partying, and general mayhem! Kind of like CHECC, but on a much bigger scale… In short, if you have even a passing interest in caving, this event is unmissable! For those who’ll be attending some of the time, you’ll also be able to get tickets on the door each day (subject to availability). These will cost £20 for all events that day as well as overnight camping; or £10 per evening including camping; or £5 evening only; or £5 per day caving only. A trip at the belfry is being held on the 1st of April to the third. Also, there’s a greenhouse building and bonfire that will be held on the 6th of April as we now have a place to dry our kit!